Sequoia Fitness Products MetaCal  BodyFat Caliper - 1 unit is the cheapest and quickest way to measure body fat percentage, as there is no other body fat caliper as inexpensive and accurate as the Sequoia Fitness Products MetaCal  BodyFat Caliper - 1 unit. 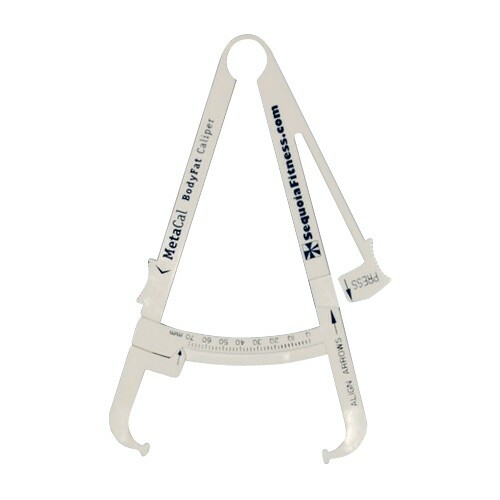 Designed for use in American hospitals nearly 30 years ago, Sequoia Fitness Products MetaCal  BodyFat Caliper - 1 unit still remains the easiest way to measure your physical readiness. Sequoia Fitness Products MetaCal  BodyFat Caliper - 1 unit comes with a detailed and easy to follow user manual written to teach you how to measure body fat percentage. It also comes with measurement charts for both men and women aged between 18 and 65 years old. Sequoia Fitness Products MetaCal  BodyFat Caliper - 1 unit uses the 3-site Jackson Pollack body density equations for active adults to measure and present results. Additionally, an interpretation of body fat percentage is available online so you can compare your results with others. Choose Sequoia Fitness Products MetaCal  BodyFat Caliper - 1 unit and marvel at its accuracy equal to that of top caliper brands.